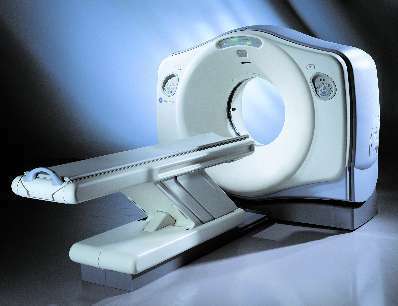 Description: 2002 GE Lightspeed Plus CT Scanner. Detector Channels: 4 x 912. Scan times: 360 degrees, 0.5-0.9 and 1 through 4. Slice Thickness- 0.625, 1.25, 2.5, 3.75, 5, 7.5 and 10mm. Gantry tilt-30 degrees. X-Ray Tube: 6.3 mHu. X-Ray Generator: 53.2 kW, 10-440 mA's. Spiral Scanning: yes. Max scan time-120 seconds. Max scan volume-170 cm. Reconstruction time-0.1667 sec. Computer CPU-Open Architecture (LINUX). Re-Construction Time per slice: 0.1667 seconds. Max. number of slices displayed at once: 16. Archival Storage-2.3 GB MOD DICOM 3. Performance- CT Angiography-yes, DICOM 3.0 Interface-Yes. CT Simulation and 3-d Package- Both Optional. This system is IN Stock at our Fort Myers, Florida warehouse. All systems subject to prior sale.